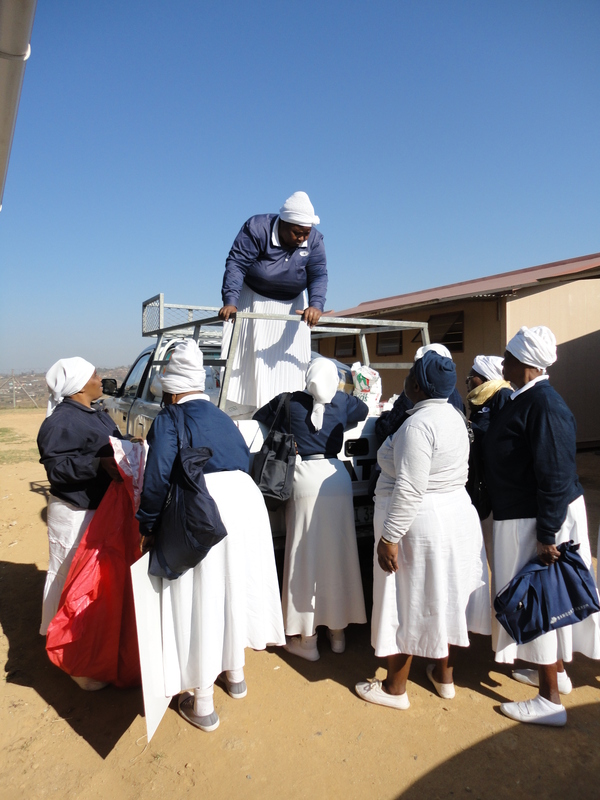 Here’s a few more pictures that I took of Tzu Chi’s rural programs south of Durban. This maize meal powder is used to make pap, a tasteless kind of porridge that’s a staple food for many black South Africans. 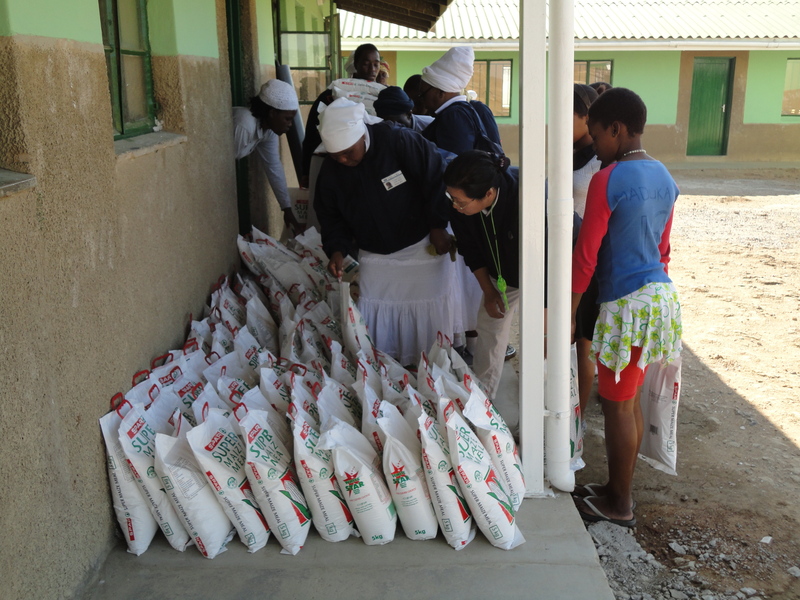 People start to line up to receive the maize meal powder and blankets. At this point, things were only halfway done and there was a lot more standing around for these folks. This is the view looking out against the school’s razor-wire topped fence. Singing gets underway at the start of Tzu Chi’s presentation. 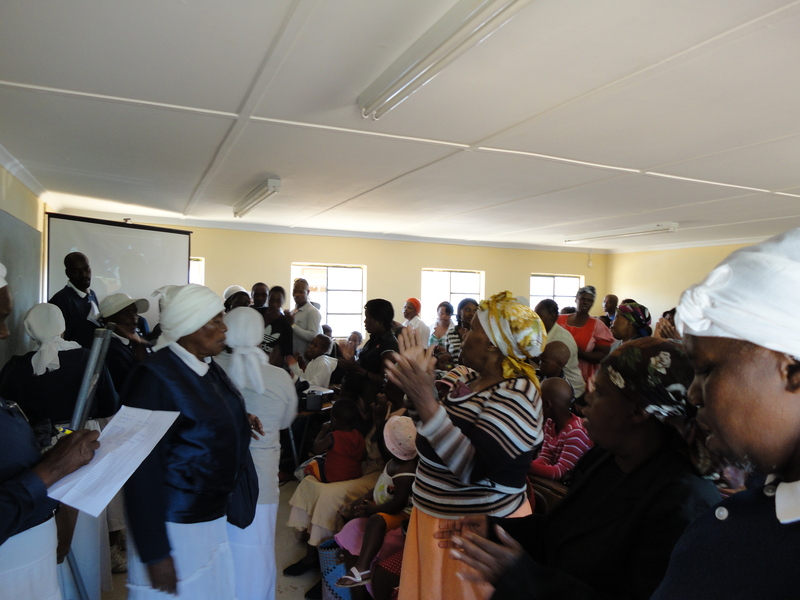 The people listen to a talk and watch a video before receiving their blankets and maize meal powder at the end. 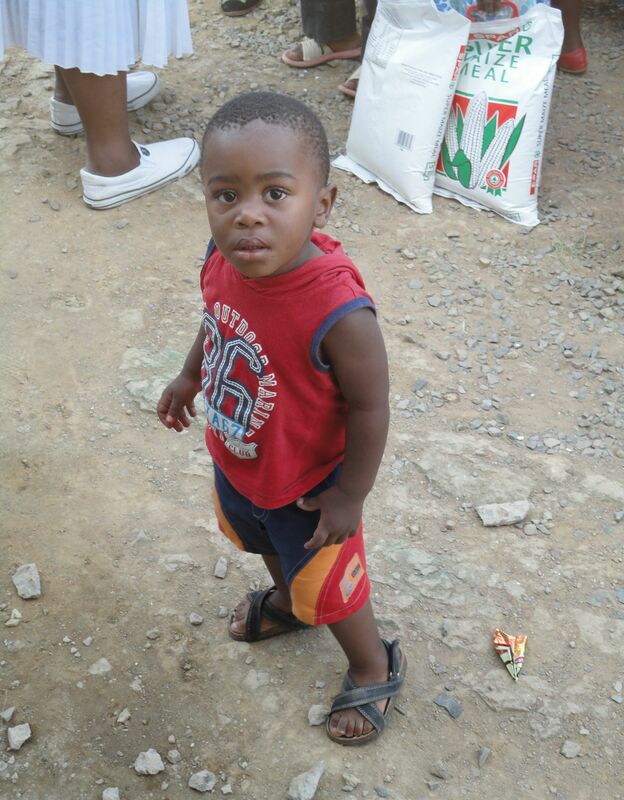 “What’re you looking at?” little guy must have been wondering.